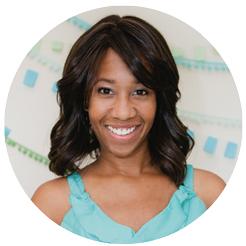 When I was pregnant with my first baby, I remember scheduling the doctor’s appointments, putting pregnancy books on hold at the library, and attending an infant CPR course. Let’s just say that the idea of a baby shower wasn’t even on my radar. I was so surprised when one of my coworkers decided to throw me a shower. If you’ve got a pregnant friend who is as overwhelmed (or clueless) as I was back in the day, volunteer to host her baby shower. Chances are, she’ll be too focused on the big picture to ask you to throw her a party. 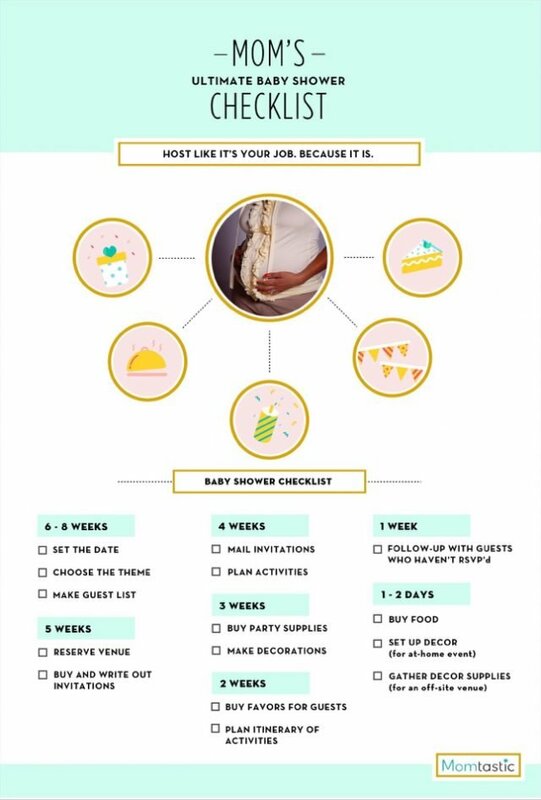 In case you’re new to the baby shower hosting gig, here’s a handy baby shower checklist to help you plan the ultimate baby shower. Choose the baby shower theme. Whether you go with a traditional vibe or a modern mood, select a theme that fits the honoree’s style. Make the guest list. Decide whether you want to host an all-ladies party, a co-ed celebration, or a kid-friendly fête. Reserve the venue. If your party will be at a public location, make sure you book it in advance to get the date and time you want. Buy and write out invitations. Verify addresses, pick out pretty postage, and get those envelopes ready to go. Plan activities and baby shower games. Decide if you want silly games like candy bar diapers and toilet paper rolls around the mom-to-be’s belly, or if you want to go with charades or something else. Buy party supplies. You may need to shop online to find unique supplies that fit your palette and theme. Make or assemble party decorations. If you want to DIY your decor, give yourself plenty of time to do the work. Buy baby shower favors for the guests. Thank guests for coming with a small token of appreciation. Plan the itinerary of activities for the shower, so you’re sure to have time for all of the fun. Contact any guests who haven’t RSVP’d. Perhaps their invite got lost in the mail, or they simply forgot to respond. Buy food. Designate a section of the fridge for the party food, and start to prep make-ahead dishes. Set up baby shower decor. If you’re having an at-home event, get a jumpstart on decorating the day before. Gather decor supplies. Set them aside to take with you on the day-of if you’re having the shower at a venue.